As the name implies, the double WT connection uses two WT sections to create a moment connection. Both WT sections are mounted on the top and bottom flanges of the child member. 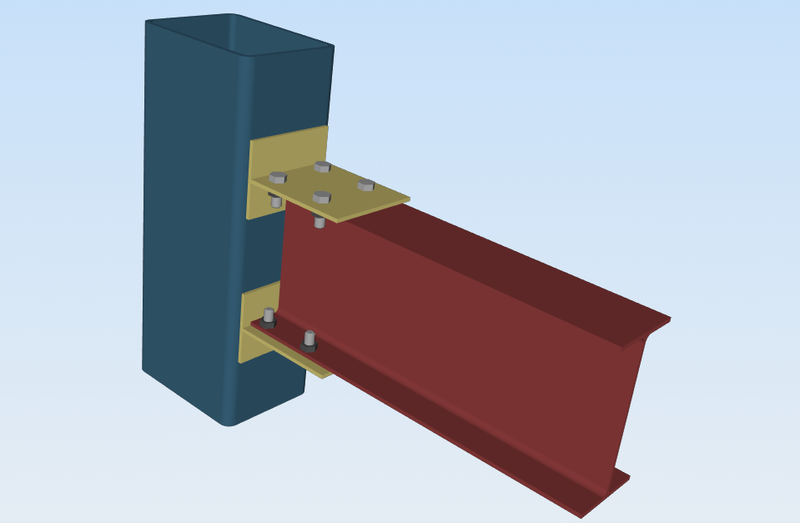 A double WT connection is considered to be one of the cheaper alternatives to the Through Plate Connection and Collared Plate Connection as it only requires extra bolting or welding for the WT sections to the HSS column. The depth of the WT flange should not be wider than the flange of the child member.